In this episode, Shaun King gives us his immediate thoughts about&nbsp; the implications of the Mueller Report on the day after its release. He also shares an update on the appeal hearing of Mumia Abu-Jamal in Pennsylvania, and tells the horrible story of a young woman who was just shot by police in Connecticut, but has survived to tell the story. On today’s episode of The Breakdown, Shaun King shares nothing but good news. Starting in The Bronx, Shaun covers a powerful demonstration and moment of unity lead by the rapper and leader Mysonne, then covers a fun viral video that you have to hear and see to believe, and closes with his thoughts on Beyonce’s two new projects. On today’s episode of The Breakdown, the final episode in a 3 part series explaining the leading Supreme Court cases that make police brutality functionally legal in the United States, Shaun gives us action steps and solutions for how we make police brutality illegal. It won’t be easy or quick, but it’s necessary. On today’s episode of The Breakdown Shaun unpacks the Supreme Court case, Graham v. Connor – and explains how it is now used alongside of Tennessee v. Garner to protect police from being held responsible for their brutality. 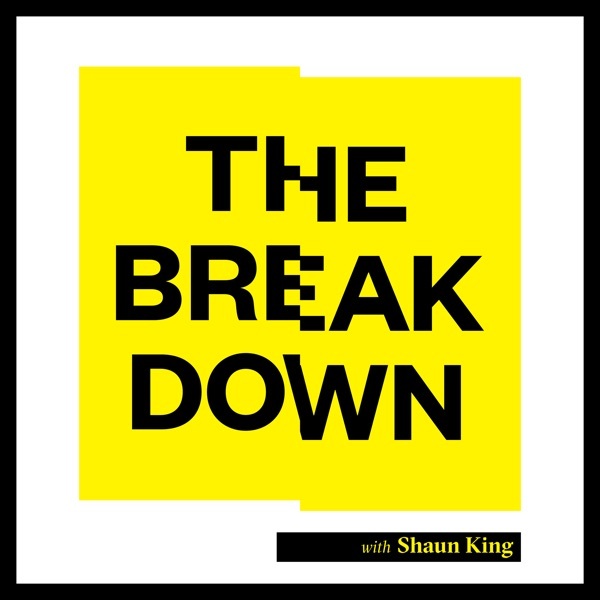 On today’s episode of The Breakdown, Shaun King unpacks the news that a white supremacist was just arrested in Louisiana for burning down Black churches, covers the&nbsp; toppling of&nbsp; Sudan’s government, and gives us an update on the new House and Senate&nbsp; Medicare for All bills. On today’s episode of The Breakdown, Shaun King shares some good news with us. The world can be an ugly place and the United States is often the epicenter of some of that ugliness, but that doesn’t mean nothing good is going on. Today Shaun shares three good news stories about unity emerging between the Bloods and Crips in Los Angeles, a shocking move from Magic Johnson, and the simple ways an American city is trying to make their justice system better. In today’s episode of The Breakdown, Shaun King unpacks and explains the&nbsp; genocidal nature of the humanitarian crisis at the border between the United States and&nbsp; Mexico. What we’ve learned over the past few days is that the Trump administration has been&nbsp; attempting to continue the policy of separating children from their parents in spite of courts&nbsp; ruling that it is illegal and must end. It’s hard to understand a moment of history when you are&nbsp; in it, but right now, we are in a sick, demented point in American history. In today’s episode of The Breakdown, Shaun King explains the outrageous conclusion by the Chief Surgeon of the NYPD that Eric Garner was never actually choked – in&nbsp; spite of over 100 million people seeing the video of Garner clearly being choked to death by&nbsp; Officer Daniel Pantaleo. Five years later, it’s outrageous that this case is still being investigated.&nbsp; It’s simple. And the people who could actually do something about it lack the political courage&nbsp; and will to do so. Today Shaun also has action items that we can all take together. [EXPLICIT LANGUAGE] In today’s episode, Shaun breaks down the 2015 motorcycle massacre in Waco, Texas in which 9 people were shot to death. All charges were just shockingly dropped against the 177 people who were originally arrested in this case. In today’s episode, Shaun breaks down a destructive new policy from the Democratic Party designed to prevent future candidates like Alexandria Ocasio-Cortez and Ayanna Pressley from challenging powerful white male incumbents. In this episode of The Breakdown, Shaun King unpacks the life and death of Nipsey Hussle, explores the conversations now happening around the issue of Black on Black&nbsp; violence, and offers the best way we can honor Nipsey and his legacy. Are you outraged by injustice, police brutality, &amp; mass incarceration in the United States but don’t know what to do about it? Start here as Shaun King breaks down how we can abolish the system together. Also, learn about 3 brilliant young leaders we can all support who are doing the work.